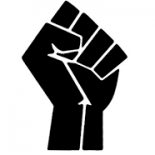 I am one of a number of Grenadians who agree that our constitution is in need of some form of reform. There are people on both side of the issue, of course. Many disagree with reforming the constitution and there are those who share some form of skepticism, especially with the present administration overseeing the process. These positions are indeed a healthy mix. With such high stake, all these people and their positions should be brought to the table of open debate. Lloyd Noel is one individual who articulated his position, as published in Caribbean News Now. He seems to have a number of concerns. One of his main critics is that the ruling administration should abandon its focus on constitutional reform and placed its attention on the economic problem plaguing the country. With “the Value Added Tax (Amendment Act) came into effect on August 1, 2014, to amend the VAT Act Cap 333A to add more accommodations to the list of places now liable to pay VAT on rentals received,” which “now includes student housing, private house, or a room or similar establishment in which lodging is normally provided at a rent; and the tax is 10% of the rent,” he argues, places an undue burden on regular people trying to make ends meet. “I can see the rationale where the individual or a company is running a business – but for a private house or a room, where the owner is simply trying to raise some extra income to help the family budget, this seems to be going too far,” he writes. I agree with a number of issues Lloyd Noel brought to the forward. There are immediate pressing issues that the government should make priority. But, is it true that if we stop depending on England to ensure law and order, the country will go up in flames; government will run amok? It seems that Noel is saying that Grenadians are unable to create strong enough institutions capable of stopping abuse of politicians and government. I think he is wrong. We can. Is his analysis correct in that the pursuit of the reformation of the Constitution by this administration is to give themselves “a free hand to do as it pleases, with no checks and balances from the outside to stop abuses.” This, I agree, we must pay attention to, as the reform process move forward. We must be on guard. Past experience with this administration demands we do. History has warned us that we must be vigilante when it comes to our political leaders and the Constitution. Despite these concerns, however, I agree that we should move forward with reforming the Constitution. But should we proceed under the control of this administration? This is I believe is questionable. Lloyd Noel seems to have been onto something in his concerns about the present administration, and why they are pushing for the reform to happen under its control. His concern seems to be justified by the problems cited in the Nazim Burke’s address on the constitutional reform project posted in nowgrenada.com on Tuesday, 19 August 2014. Nazim Burke is the political leader of the National Democratic Congress (NDC) on the Constitution Reform Project. He stated in the address that “without equivocation, that in our view, the proposed amendments to the Constitution leave unattended some of the most salient and substantive issues that must be addressed in any constitutional reform and instead focuses, disproportionately, on changes which, while proper, will not materially affect the operation of our constitutional democracy”, and proceeded to list six important issues that he and the National Democratic Congress (NDC) political party think should have been addressed. Take the first point for example. This is interesting indeed, and should heighten our concern. It seems that not addressing this aspect of the constitution for reform confirms Lloyd Noel’s fear about the present man in charge wanting to reform the constitution to place himself as, in Lloyd Noel’s words, “president for life.” These concerns, coupled with the charge of the present administration not being transparent in how the reformation is progressing, are troubling to me and should be to all other Grenadians. It should not be about party affiliation. We should ensure that we hold the people we vote for accountable. We can do it. There are numerous aspects in Nazim Burke’s report that highlights the problem in allowing this administration to be the one taking on constitutional reform; needed as it may be. I think that in the wake of these concerns, it will serve us better to say no to this present administration controlling the reformation of the Constitution. There is another issue that I believe should be front and center in the consideration of Constitutional reform. 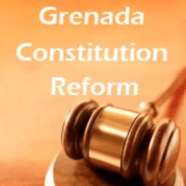 The idea of reform is based on the fact that Grenada is a very different society today than it once was: Hence, the need for a constitution that reflects the present society. I propose that this reform constitution adopt a secular democratic formation. I believe that this is one way and maybe the best way to create a strong Constitution. In that, this body of fundamental principles we are acknowledging to be governed by, should make an affirmation that is inclusive of all Grenadians, regardless of their sexual orientation, religion, philosophy and race. The fact is this, not all Grenadians today make the affirmation that this “nation is founded upon principles that acknowledge the fatherhood and supremacy of God.” In fact, the truth is that this nation was founded and built on the principle of the enslavement of black people. There are real reasons why this quote should be changed. There are people of varying faiths in Grenada. So whose principles are we affirming here? Is it only Buddhism; is it only Hinduism; is it only Islam, only Judaism, only Christianity, only Voodoo, or is it only Rastafari? I can go on, and Grenadians are adherents of all these faiths and more. Which God are we affirming the “fatherhood and supremacy” of? Is it Buddha, Allah, Brahma, Haile Selassie, etc.? The implication is clear. We are affirming the “fatherhood and supremacy” of the Judeo-Christian God only. Thus, we have a constitution that establishes a particular religion as the state religion. The Constitution and the Government should not be in this business. It is disrespectful to the people of the other faiths and to people of no faith. We are Grenadians too. Question: are we going to be part of this “national identity”, or are we excluded because we are not part of the Christian in-group? I doubt that this is what we want for our nation. Thus, this statement or the underlined portion should be reformed or be strike from the constitution. If we are truly for the collective voice of the nation, instead of affirming one particular faith and one particular God, we need a statement that affirms not just the collective voice of all Grenadians, but should also affirms the separation of church and state, the promotion of democracy and the promotion of science and reason. I could hear the grumbling of my critics. This guy is calling for the elimination of Religion from our society. This cannot be farther from the truth. Secularism is not an enemy to Religion. It seeks to defend the absolute freedom of religion in so far as it does not infringe on the rights and freedom of others. A secular Constitution affirms no faith but protects the nation’s citizens’ right to affirm their faith and also their rights to affirm no faith. This is the type of constitution and governance we should strive to create, and thus, a strong platform for creating strong capable institutions as a republic. This entry was posted on June 6, 2015 by Seon M. Lewis in BLOG, GRENADA.